How Is Fibromyalgia Diagnosed? Your Ultimate Guide. Home/Inside Pain Blog/How Is Fibromyalgia Diagnosed? Your Ultimate Guide. Fibromyalgia is a widespread pain syndrome. First identified in the early 1800s as a “muscular rheumatism” by Scottish doctors, fibromyalgia has a long history of being misunderstood. This may be due in part to a medical climate that has not always believed sufferers when they report mysterious pain that seems to have no cause and is not always identifiable in standard tests. No longer thought to be caused by inflammation, fibromyalgia is a disorder that has links to genetic, environmental, and biological factors. So, how is fibromyalgia diagnosed now? A fibromyalgia diagnosis can be hard to come by without persistence on the part of the patient. Start now by learning a bit more about the fibro diagnosis process. If you’re one of the estimated 12 million fibromyalgia sufferers in the U.S., it could be key to getting the treatment you need. The key thing to note is that while many people may experience these symptoms, it is the presence of multiple of these symptoms with no clear physical cause that is the hallmark of fibromyalgia. To get a fibromyalgia diagnosis, one needn’t have all of these symptoms, but many will be present. Symptoms of fibromyalgia may also fluctuate in severity based on many different factors. Changes in the weather and the amount of sleep a patient gets can influence the level of symptoms. Stress, physical activity, and diet may also be factors. Some patients may experience hyperalgesia – an increased sensitivity to pain. Others might find normally non-painful contact like hugging or a handshake painful. This condition is known as allodynia and can make everyday interactions challenging. Allodynia can also increase your sensitivity to bright lights and loud sounds. Fibromyalgia patients may experience periods of remission with no symptoms at all followed by episodes of extreme rebound pain. Above all, pain is present in all patients, but the tremendous variation in symptoms from patient to patient can make a fibromyalgia diagnosis difficult. How is fibromyalgia diagnosed? With a team of dedicated and caring specialists. Because of its complexity and variation among patients, a fibromyalgia diagnosis requires a specialized team approach. While a patient’s general practitioner may be the first healthcare professional to note unusual symptoms that cannot be diagnosed easily, there are many other specialists who can confirm their suspicion. After a period of time, a general practitioner may call in a pain specialist. A pain specialist is trained to recognize complex pain syndromes. This can be key to getting a fibromyalgia diagnosis, as pain specialists recognize a variety of symptoms and their pattern of flare-ups and remission. Rheumatologists are doctors who have additional specialized training in the treatment of arthritis and other rheumatic diseases. A chiropractor treating someone for back pain with no apparent physical cause may help to diagnose fibromyalgia. Regular work with a patient who has pain symptoms in specific, symmetrical points in the body may be picked up by a chiropractor before it is noticed by their general practitioner. Patients in pain may be receiving alternative medical treatments such as acupuncture. Their alternative medical doctors may notice a pattern of symptoms that mirror those of fibromyalgia. A team of doctors working together is imperative for the diagnosis and treatment of fibromyalgia. Except in the case of illness, many people only see their doctors once a year. Pain patients might see their alternative medical practitioners, chiropractors, and pain specialists much more frequently. The key to getting a fibromyalgia diagnosis is for all doctors, specialists, and support staff to work together to help the patient. Whereas a general practitioner is well-versed in the overall health of a person, pain specialists focus their studies and research on pain conditions. It takes a team of doctors, with the general practitioner sounding the initial alarm and making referrals, to truly support a person with fibromyalgia. A fibromyalgia diagnosis begins with a persistent patient and a doctor willing to look deeper into symptoms that may seem vague, fleeting, and not always credible. In the past, some doctors have been quick to write off patient complaints of pain, especially those that have no apparent physical cause. Because of this, it takes an average of two years to get answers when it comes to fibromyalgia. Many fibromyalgia patients begin their journey to diagnosis by tracking symptoms. The three major categories of fibromyalgia symptoms include pain, fatigue, and cognitive struggles. A journal or chronic pain app can track all three. It can be helpful also include things like diet, activity levels, weather, and other activities that may contribute to flare-ups. This helps patients establish a pattern of pain and may help to eliminate any other possible causes. In general, your doctor won’t diagnose you with fibromyalgia until you’ve experienced symptoms for three months or more. A journal that tracks symptoms can help you start that clock, so you can get a diagnosis faster. Different doctors, including your general practitioner and pain specialist, may run physical exams. Initially, a physical exam may help to uncover one of the main criteria for a fibromyalgia diagnosis: pain in specific tender points in the body. There are nine tender points in the body, located on both sides (18 points total). These points are located both above the waist (occiput, lower cervical region, trapezius muscle, second rib, supraspinatus muscle, and lateral epicondyle) and below (gluteal and greater trochanter). Pain is symmetrical, which means it is located in the same point on both sides of the body. When pain is present in at least eight of these points, you may be suffering from fibromyalgia. Because the presence (or absence) of tender points is no longer considered a stand-alone, reliable indicator of fibromyalgia, your thorough physical exam should include all parts of the fibromyalgia diagnostic criteria developed by the American College of Rheumatology, including a widespread pain index (WPI) score of seven or higher and a symptom severity scale (SS) score of five or higher. Some physicians have little experience diagnosing fibromyalgia in general. These new criteria can help guide them to their next steps, whether that is starting treatment, ordering more tests, or referring to a pain management specialist. Fibromyalgia shares some clinical characteristics with other serious diseases, such as rheumatoid arthritis and Lyme disease. Working with the general practitioner, a pain specialist may also use X-rays, MRI, and CAT scans to look for other potential physical causes of pain. Because there is a neurological component to fibromyalgia, they may also order a complete neurological exam to eliminate the possibility of issues with the brain. Getting a diagnosis of fibromyalgia can feel devastating, but you can’t start treatment until you know exactly what you’re up against. Many patients may feel relieved to have a name for their collection of symptoms, and this alone can help make treatment more successful. One of the most challenging parts of a fibromyalgia diagnosis is the fact that this syndrome shares so many symptoms with other serious illnesses. Part of the diagnostic criteria includes blood testing that can eliminate the possibility of misdiagnosis, and it’s important to know which other diseases these symptoms can indicate. Lyme disease: Lyme disease has the same characteristic pain in the joints, fatigue, and patterns of flare-ups and remission. A blood test can generally identify Lyme disease. Chronic fatigue syndrome (myalgic encephalomyelitis): Chronic fatigue syndrome is also a collection of mysterious symptoms that may not include pain. Multiple sclerosis or myasthenia gravis: These two diseases are neurological in nature. A specialist will diagnose them by identifying physical neurological damage. This is why a complete neurological exam is part of a fibromyalgia diagnostic test. Other rheumatic diseases, such as rheumatoid arthritis, osteoarthritis, Sjogren’s Syndrome, and systemic erythematosus lupus: These conditions are very similar but also come with their own characteristic symptoms (e.g., skin issues in lupus). Other general disorders have similar symptoms to fibromyalgia. Depression and anxiety can cause extreme fatigue and, on occasion, widespread pain. While it is inappropriate (and all too common) to tell patients that the pain is “all in their head,” it is true that pain has a psychological component. This is why working with a team of specialists is crucial to an accurate diagnosis. I’ve been diagnosed with fibromyalgia — what do I do? There is no one quick-fix treatment for fibromyalgia. The best way to approach this layered collection of symptoms is with an equally layered collection of treatments. A fibromyalgia support group – in real life or online – can be crucial for patients just starting their treatment. Identifying a group as soon as possible can help patients deal with the ups and downs of diagnosis and treatment. The next line of treatment include lifestyle changes. These include things like getting enough rest, eating a healthy diet, and getting plenty of exercise. Managing stress, including a creative outlet in your day (coloring? ), and finding ways to keep yourself comfortable with cozy surroundings and clothing can also offer relief during flare-ups. These lifestyle changes may also help to prevent flare-ups. Many of these techniques help patients manage the ways in which they think about their pain. And, you can easily use them with other more interventional approaches. It is important to note that there is no research-based evidence that opioids are a good solution for chronic pain syndromes, including fibromyalgia. In the past, opioids may have been first-line treatments, but there is increasing evidence that this treatment approach does more harm than good. Other approaches may include epidural steroid injections for certain painful areas or TENS unit therapy. So, how is fibromyalgia diagnosed? One step at a time, with a healthcare team behind you. The best treatment plan for fibromyalgia starts with an accurate diagnosis and conversation with the doctor. From there, your doctor will monitor and update your treatment plan as needed. If you are suffering from unidentified and unrelieved pain and fatigue, contact a local pain doctor today. A pain specialist can help you get a fibromyalgia diagnosis that you need. Find one in your area by clicking the button below. What other suggestions do you have apart from Lyrica, Would omega 3,6 and 9 help and also magnesium supplements ?? 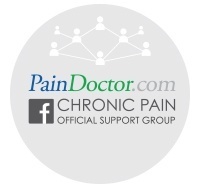 Hi Denise, we discuss more fibro treatments at https://paindoctor.com/fibromyalgia-treatment/.